All the teams will be given a trophy as a memento. 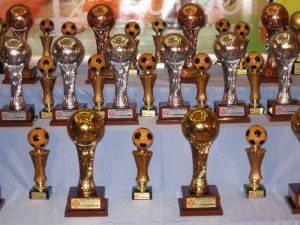 All trophies will be presented to the teams at the end of the tournament in the football stadium. Once the prizes have been given, the Tournament will be closed in all its categories.